This year’s Bank of America Chicago Marathon saw record numbers of finishers–44,571, to be exact, which is 63 more than last year. That number was comprised of 23,946 men and 20,654 women, and one fan tweeted that the 1,334 sub-3 finishes among men and 1,068 sub-3:30 finishes among women likely represented a record for Chicago. Mo Farah‘s winning time of 2:05:11 was the fastest winning time since 2014, and represented a new British and European record. #ChicagoMarathon had a record 44,600 finishers (23,946 men + 20,654 women) according to preliminary figures from @ChiMarathon. That total surpasses the previous record of 44,511 from 2017. All this would seem to fly in the face of recent reports that marathon times are getting slower. 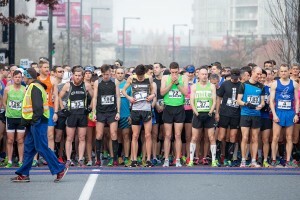 In May the CBC published a report that North American average marathon times are slowing, based on a study done earlier this year. It concluded the main reason for slowing times is that more and more overweight Americans are embracing marathon running. Just before last year’s TCS New York City Marathon, TIME magazine also published a story about slower American marathon times, citing roughly similar statistics. It pointed out that even the fastest times are getting slower. The question is, does it matter? From a health standpoint, yes and no. 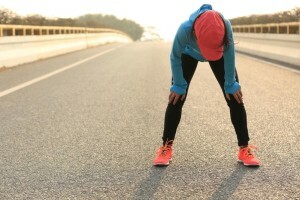 It means that more and more people are taking up running, which is a good thing, but (as the TIME story pointed out) could also mean that more people are running the marathon distance who do not have the basic fitness the marathon requires, and they should consider sticking to shorter distances. Which leads us to examine such things as rates of cardiac arrests at marathons. The research is not entirely clear on this. A 2017 study out of Japan found the incidence of cardiac arrest in marathons and half-marathons in Japan between 1999 and 2013 was 2.18 per 100,000, with more cardiac arrests each year than the previous year. But a similar study out of Sweden this year found a “general downward trend” in the risk of cardiac death since 1980. For elites and recreational runners alike, there seems to still be much to celebrate in the world of the marathon.